On the final day of the winter press tour for the Television Critics Association, Amazon Prime Video took to the stage at the Langham Hotel in Pasadena with a slew of news on returning and upcoming projects. First up, Head of Amazon Studios Jennifer Salke announced a third season of Tom Clancy's Jack Ryan had been picked up before the second season airs later this year. "We saw no reason not to give it an early pick up," Salke said. The first season of the John Krasinski drama aired last fall. Get ready to travel back to Middle Earth! 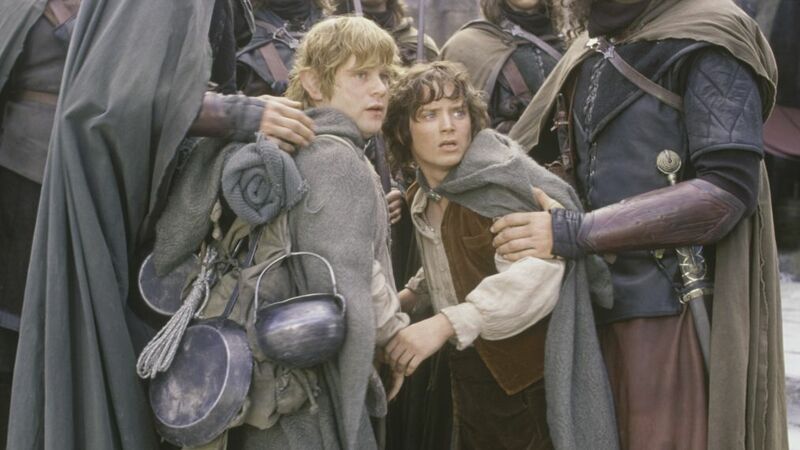 There wasn't much new news to report on the much-anticipated Lord of the Rings series except that the creative team is making "great progress," said Salke, who was joined after opening remarks by co-heads of TV Vernon Sanders and Albert Cheng. There was no update on the show's premiere date but, of course, Salke was asked about whether the man responsible for the big screen LOTR franchise would be involved in any way. Salke said, "We don't have any news on Peter Jackson." Cheng did add that Jackson is aware the series is in the works. In casting news, Salke was able to confirm that Academy Award-winner Al Pacino, Logan Lerman and Jerikka Hinton will star in Jordan Peele's upcoming Nazi-hunting series, The Hunt. Per an Amazon press release, the series follows a diverse band of Nazi Hunters living in New York City in 1977. The Hunters, as they’re known, have discovered that hundreds of high-ranking Nazi officials are living among us and conspiring to create a Fourth Reich in the US. The eclectic team of Hunters will set out on a bloody quest to bring the Nazis to justice and thwart their new genocidal plans. On the pilot for the potential series version of the beloved 1992 film, A League of Their Own, Sanders said, "There will be a group of new characters but there will be some nods to the original [movie] that I think fans will appreciate," said Sanders. As for the recently-acquired sci-fi series, The Expanse, Sanders said that the goal is for the new episodes to air before the end of the air but no premiere date was announced during the Amazon session.